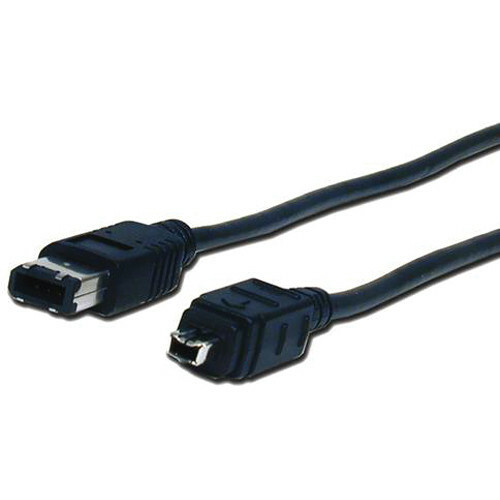 The Comprehensive IEEE 1394A 6-Pin Male to 4-Pin Male FireWire Cable (10') provides high-speed digital transmission of data, video, and audio between computers and consumer devices such as scanners, printers, DV camcorders, external hard drives, and more. It is capable of data speeds of 100, 200, or 400 Mbps. This cable features shielded twisted pair construction, and meets all 1394a standards. Box Dimensions (LxWxH) 6.0 x 6.0 x 0.7"
IEEE 1394A 6-Pin Male to 4-Pin Male FireWire Cable (10') is rated 5.0 out of 5 by 1. Rated 5 out of 5 by James from Great replacement for more length Replaced old 6 foot cable with this one. Wasn't sure the length would work but it did just fine.